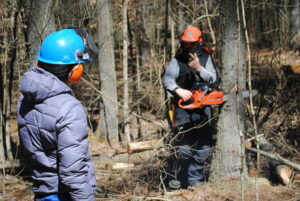 Vermont Family Forests has hosted “Game of Logging” chainsaw training courses for more than 15 years, taught by the top-notch instructors of Northeast Woodland Training. Each 8-hour session is packed with information and hands-on practice of chainsaw skills. We realized recently that a missing piece in those training sessions was an introduction that places that training within the larger context of VFF’s overarching vision. That’s a pretty important omission, because VFF’s vision is one of mutually beneficial relationship with the forest community—a different paradigm from the commodity-oriented, sustained-yield approach of traditional forestry. And a chainsaw is a powerful tool that can tip the scales toward commodity orientation, since its main purpose is to fell trees and buck logs for human use. The vision that guides our work at Vermont Family Forests is one of mutually beneficial relationship between people and the forest communities in which we live—a relationship rooted in gratitude, ingenuity, prudence, compassion, and wholeness. We’re interested in how those values play out in every-day interactions in the forest, like laying out access roads, planning harvests, and marking and cutting trees. When VFF’s conservation foresters enter the forest to do woods work, it’s with the intention that forest health always comes first, and it’s with the recognition that humans as a species are simply one member of a wide and varied community of beings, rather than head honcho and top dog. When used without skill, chainsaws can do a great deal of damage, to people and to the forest. The Game of Logging courses aim to help you build the skills to operate a saw wisely and carefully, which in turn helps maintain the health of the whole forest community. Accurate felling helps reduce residual stand damage. Learning to use a chainsaw safely safeguards your own health and the health of the people around you. Selecting and cutting trees carefully is just one part of excellent woods work. The trees you’re cutting today will be left on site to build soil health and to slow, spread, and sink the flow of runoff on this land. When we work with landowners who want to remove trees from the forest, we recommend a number of optimal conservation practices—described in our Organic Forest Health Conservation Checklist—that help maintain soil and water health, as well as plant and animal health and diversity. We encourage you to take a look! We hope you have a great day of it today during your Game of Logging training. As you enter the forest, please take time to acknowledge the community of life you’re entering and benefitting from. 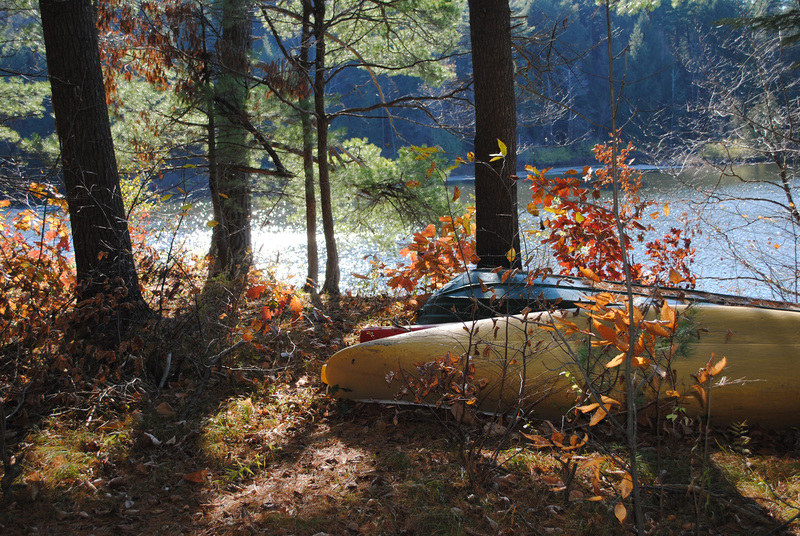 Your efforts today will, in turn, contribute to the forest’s long-term health and resilience.